The State University of New York is working collaboratively with the Jewish Foundation for Education of Women (JFEW) to offer exciting scholarship opportunities to eligible applicants. Approximately 70 women have received the scholarship at Stony Brook alone since the program’s 2011 inception. The JFEW-SUNY International Relations and Global Affairs Program, funded by JFEW, is a two-year program for students from Stony Brook, Binghamton and Geneseo universities. It provides recipients with two years of scholarship support (up to $5,500 each year), a monthly seminar series for two academic years and, perhaps best of all, a paid internship in a New York-based global organization offered during the summer between the junior and senior years. The internship is arguably the most valuable component of this program, as it provides students with the opportunity to network with professionals in the International Relations and Global Affairs realms while gaining priceless, hands-on knowledge through mentorship. Organizations that have hosted the scholars include the U.S. Department of State (NY), The Clinton Foundation, Asia Initiatives, GBCHealth, and the International Rescue Committee. The internship program features private briefings with international leaders, including United Nations ambassadors and NGO presidents. JFEW awarded SUNY its first grant in 2011 and it has been extended through to 2020. From 2011 to 2020, JFEW will have awarded SUNY students close to $3 million in scholarship funding. Diplomacy was the fundamental idea of the scholarship, but given Stony Brook’s strong presence in STEM and healthcare fields, the program has expanded its reach. 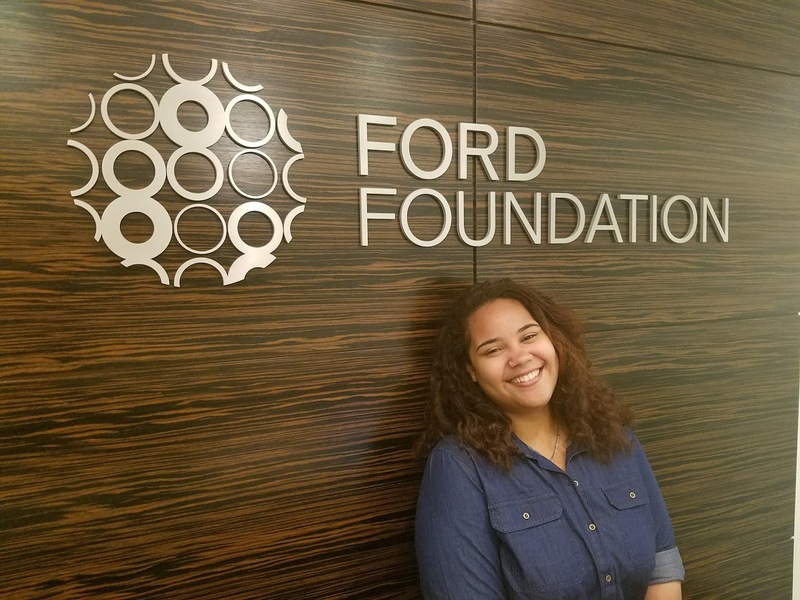 Elianny Moronta Espinal ’18, a recipient of the SUNY JFEW scholarship, interned this summer at the Ford Foundation’s Office of the President. Elianny Moronta Espinal’18 is a Psychology and Theater Arts double major, and Creative Writing and Literature minor. She was selected in 2016 to receive the JFEW-SUNY scholarship and is currently a senior. As part of her scholarship experience, Moronta spent the summer interning at the Ford Foundation, a globally oriented private organization with the mission of advancing human welfare. “This opportunity opened me up to experiencing something that I’ve never done, and it has been one of the most rewarding experiences of my life,” said Moronta Espinal, who initially applied for an internship position in human resources but found a home in the Ford Foundation’s Office of the President. “Now I might have the opportunity to eventually work at Ford in the future, as my supervisor was telling me if you see something online and you want to come here, shoot me an email and I’ll see what I can do.” Espinal is now working on campus as the Special Assistant to the Director of the Career Center, and will graduate in the spring. 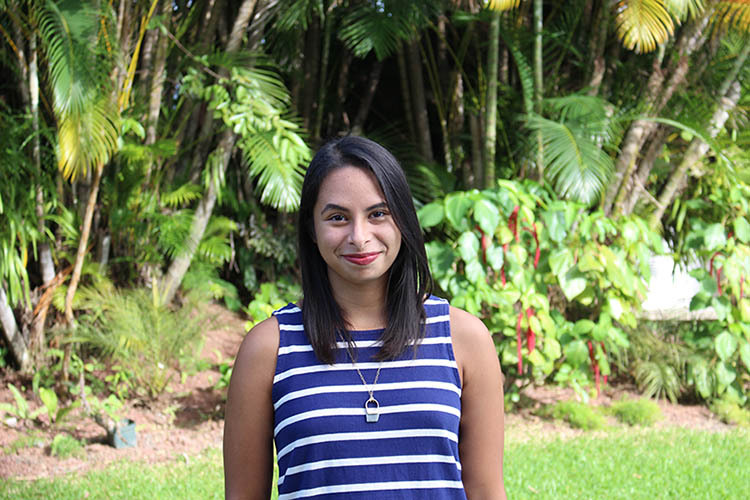 Alejandra Romero’ 14 was a recipient of the JFEW-SUNY Scholarship. She earned her BS in Business and Political Science, with a minor in Women’s Studies. During her time at Stony Brook, Romero served as a resident assistant, a student ambassador and an intern at the Career Center. She learned of the program while interviewing for an internship at the Career Center during her sophomore year. After graduating from Stony Brook, Romero earned her MA in International Relations from the Barcelona Institute for International Studies in Barcelona, Spain, and has completed internships with BRAC USA and the United Nations Population Fund. She remains eternally grateful for the experience JFEW provided.